Many people avoid coming to the dentist due to fear. This sets into play a vicious cycle, where one avoids coming to the dentist until major pain develops. 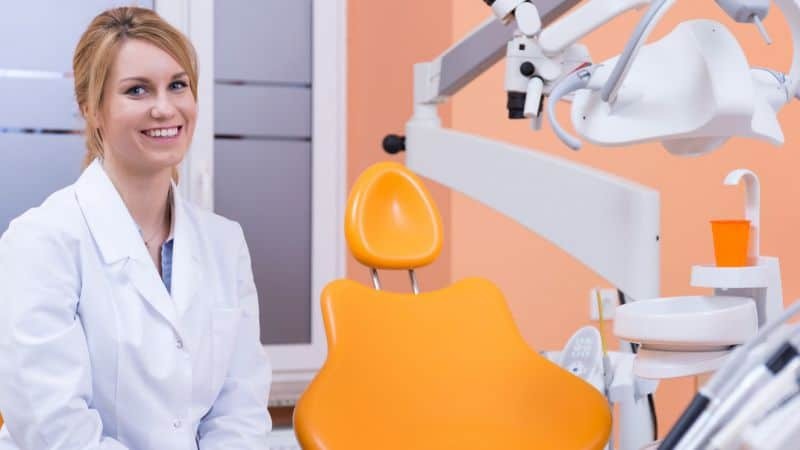 Fortunately, there are several methods of sedation that can make dental appointments much easier and less stressful for patients. The type of sedation chosen can be tailored to the individual patient’s level of anxiety and dental needs. The lightest form of sedation is nitrous oxide, commonly referred to as “laughing gas.” Nitrous oxide is more accurately termed “anxiolysis,” meaning that it decreases anxiety. The patient is aware that a procedure is taking place, but is much more relaxed and less anxious about it. After the procedure has been completed, pure oxygen is given for a few minutes until the nitrous oxide has cleared from the lungs and the patient is feeling normal again. Due to the fact there are no residual effects from the nitrous oxide, the patient is capable of driving and resuming normal activities for the remainder of the day. For a patient who does not want to be aware of anything at all, conscious sedation is available. Conscious sedation is often called “sleep dentistry,” but that is a misnomer. When a patient is consciously sedated, the ability to respond to requests is intact, but the patient will not remember the procedure. A dental visit that lasts several hours seems like it lasted only 5 minutes. Conscious sedation is also used for other procedures like colonoscopies and minor eye surgeries. Conscious sedation can be accomplished by taking a pill before the appointment or by intravenous (IV) administration of sedative drugs. IV administration is more predictable and efficient due to the ability to titrate the drugs to effect. When an IV line is established, other meds, like steroids to reduce post-operative swelling, can be given prior to the completion of the procedure. During conscious sedation, vital signs are continuously monitored. At the end of the appointment, patient responses are used to assess recovery from the sedation. Once the patient has recovered, they can be released to their driver. Before any conscious sedation is done, a consultation appointment is scheduled to review the medical history and current medical status of the patient to ensure that in-office sedation is appropriate and can be safely accomplished. Depending on the patient’s medical history, a consult with their primary care physician might be required. Also, all post-operative instructions and any necessary prescriptions are given at this appointment. Patient comfort and safety are paramount to our practice. All doctors who perform conscious sedation have met state-mandated educational requirements to receive and maintain a permit to provide moderate conscious sedation. In addition to this permit, sedation providers are BLS (basic life support) and ACLS (advanced cardiac life support) certified. Regardless of the type of sedation used, local anesthetic is given to numb the area of the mouth being treated. Any procedure can be done while sedated. While conscious sedation is highly recommended for procedures like wisdom teeth removal, it can also be used for crown preparations, fillings, root canals, and cleanings. In some cases, after a patient has several good sedation appointments, they no longer need sedation for future treatment. At Virginia Family Dentistry, we welcome the opportunity to make dental treatment stress-free. Receiving timely treatment of problems minimizes discomfort and extent of treatment required. Sedation can help make the choice to proceed with treatment easier. Please call one of our offices or visit our website if you have any questions regarding sedation or would like to schedule a consult.